The President's Bible is a wonderful collection of US Presidents comments and compassion for God's Word wrapped in Tyndale's New Testament Version. You will not want to miss including this Bible in your collection! The Presidents' Bible is a deluxe, full-color, collector's red letter edition, honoring the Presidents of the United States who took a stand for Jesus Christ, Christianity and the Holy Bible. It features photos of Presidents and the prayers they prayed. Additional features include the Founding Fathers' quotes on religious freedom, and articles such as "The National Monument to the Forefathers" and "Leadership and Liberty." 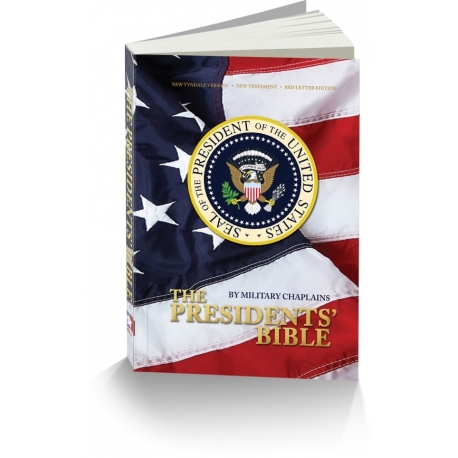 Since the historical role of the President of the United States has been limited to that of Commander in Chief, The Presidents' Bible has a military focus by including the Military Code of Conduct, Military Core Values, Military Creeds, Military Hymns, Military Oaths, Military Photos, Military Prayers by Military Chaplains, the Pledge of Allegiance, and The Covenant and Code of Ethics for Chaplains of the Armed Forces. 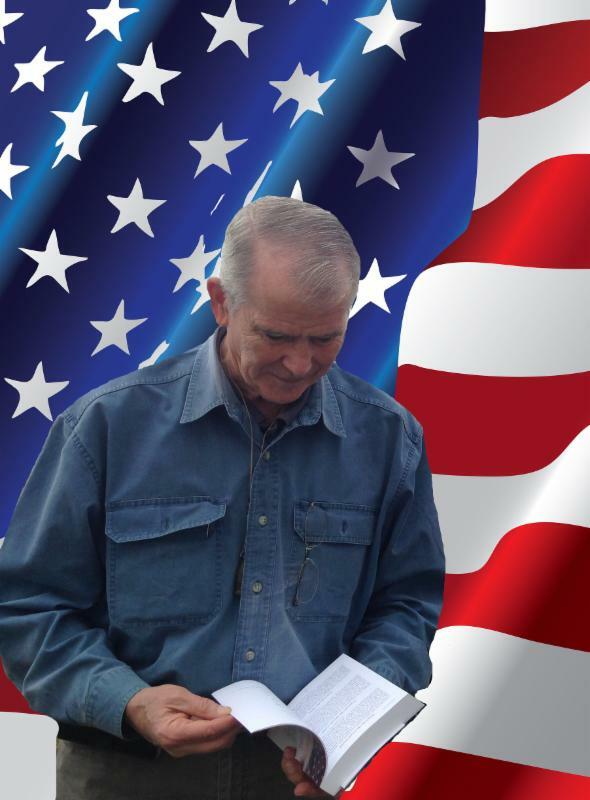 Other articles relevant to the Office of the President of the United States and the United States Armed Forces include Church Creeds, Leadership Scriptures, The 7 Principles of Leadership, The Meaning of Marriage, a topical concordance, and maps of the Holy Land. Due to the significance of the military, the publisher, James F. Linzey, D.D., saw fit to use a new translation called The New Tyndale Version, completed by chaplains serving in the United States Armed Forces. The Presidents' Bible by Military Chaplains, published by James F. Linzey, president of the Military Bible Association and managing editor of the NTV. No stranger to the cameras and lights, Jim has appeared on all major television networks including ABC, CBS, NBC, TBN, Daystar, GLC, and CNN. He had his own shows at the legendary Alamo Village where John Wayne filmed The Alamo, and hosted Operation Freedom television programs. Recently he starred in the movie Iniquity, an updated version of the story of David and Bathsheba. His role was that of a military chaplain.